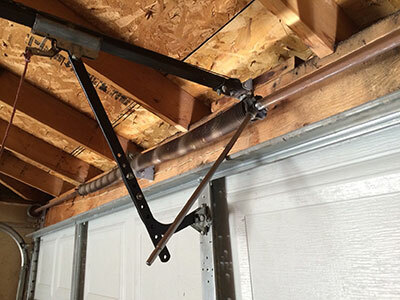 You probably don’t notice them, but they do a lot of hard work to balance and lift the garage door. The springs are among the most important components of the system. You will benefit a lot from knowing them better. 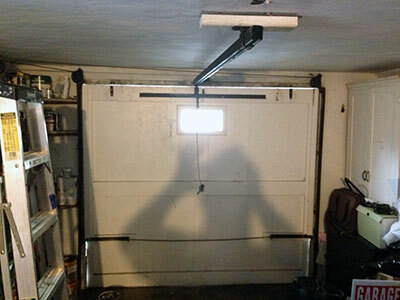 This is the most common type of spring used for residential overhead doors. It is mounted over a shaft and connected to a set of drums and lift cables. It is made from galvanized steel. This type of steel has zinc coating which prevents it from coming into direct contact with the environment. This makes it resistant to rust and corrosion. During installation, the spring is wound in order to load enough force to counterbalance the door. When the door is opening, the component unwinds and the force is used for lifting the unit up. Both torsion and the less frequently used extension springs break eventually. This is because they do a lot of hard work balancing and opening the door. Their coils get weaker over time and eventually one will snap. When this happens, all of the tension held inside is released and you can hear very loud bang. The broken spring requires replacement as soon as possible. Do not use the door in any way in the meantime. 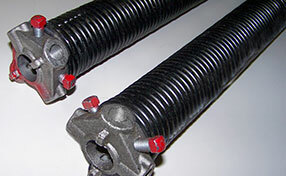 While a torsion spring is set over the shaft and wound, an extension one is attached to a bolt on one side and to a pulley fork on the other. The first step involves a test. All coils are inspected for damage and deformation. These issues are rare especially with torsion springs. Still, if a coil is damaged or deformed, the whole component should be replaced right away. Cleaning is not typically required unless there is hardened sticky dirt left by inappropriate lubricant. A mild and safe solvent should loosen up the dirt and make wiping a breeze. Lubrication involves spraying all coils with lithium-based product designed for the purpose. Extension springs do not require lubrication maintenance. Problems with the springs? Let us fix them. Count on us for repair, replacement and even maintenance. At Garage Door Repair in Mandarin, we have the right skills and spare parts to do every job effectively, quickly and safely. Stay away from DIY troubleshooting as it can be extremely dangerous and leave the work to us. To use our services, give us a call or leave a note today.